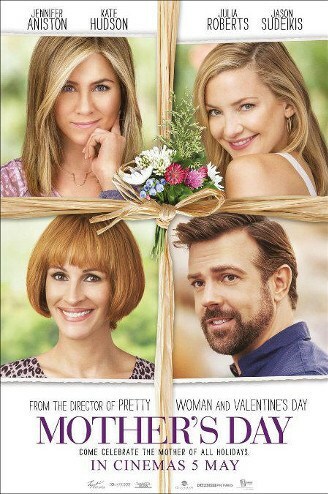 Mother’s Day Movie Synopsis : As Mother’s Day draws close, a group of seemingly unconnected people come to terms with the relationships they have with their mothers. Sandy (Jennifer Aniston) is a divorced mother of two boys whose ex-husband has recently remarried a younger woman named Tina (Shay Mitchell). Miranda (Julia Roberts) is an accomplished writer who gave up her only child, Kristin (Britt Robertson) for adoption at birth. But as a grown-up Kristin prepares herself for marriage, she begins to contemplate the missing part in her life and is encouraged by her friend, Jesse (Kate Hudson), to go out and find her mother. Meanwhile, Jesse, who never sees her mother, is surprised by her parents when they come to visit and must come to terms with their failing relationship.